I played a funeral yesterday. 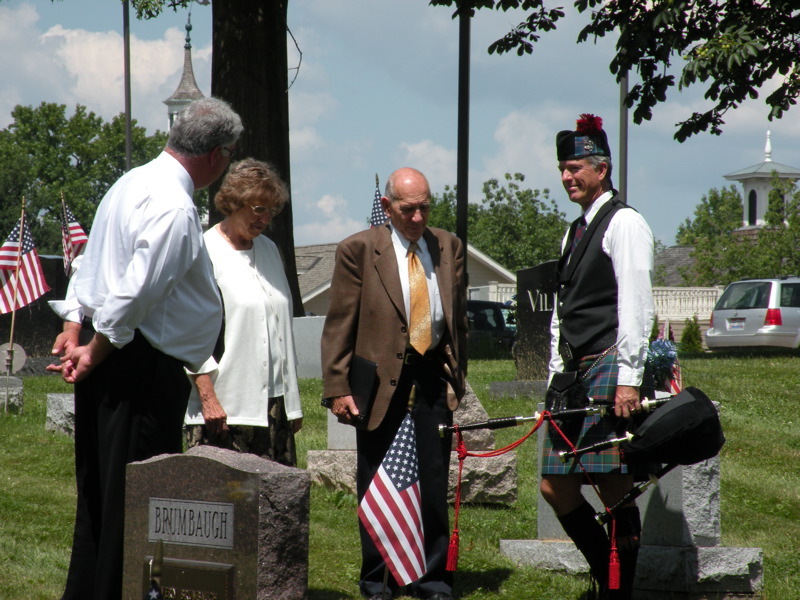 I took Angus out to the small town where he was born, Emmett, Idaho, and played “Amazing Grace” after the Navy officers concluded the flag-folding ceremony. The departed lived a decently long life, “packed a lot into it,” as his son told me. Funerals are an otherwise unemployed bagpiper’s best friend. They pay well for the amount of effort, despite the dressing up and down and getting to and from, and plenty of standing around and waiting. Modern humans are used to that, but doing this in a cemetery puts a different taste on it. Even the least introverted among us will find themselves contemplating their demise and, perhaps, the stuff that came before it. The day was nearly the nicest we’ve had all year, but peppered with thunderstorms and big wind gusts. This cemetery sits just outside of the small town, perched on a rise above the river, giving a clear view down the valley to the west, where the weather comes from, and a sharp perspective of the cherry orchards – all now abloom – skirting the bluffs to the south. Big cumulus clouds periodically cast shadows across the flat graveyard, and blasts of the cold storm-wind knifed eastward. But then there would be calm, and sun, and time to change thoughts. I’ve played a number of funerals now, and might have become a little jaded on the existential thinking that comes from hanging out among the memorialized. 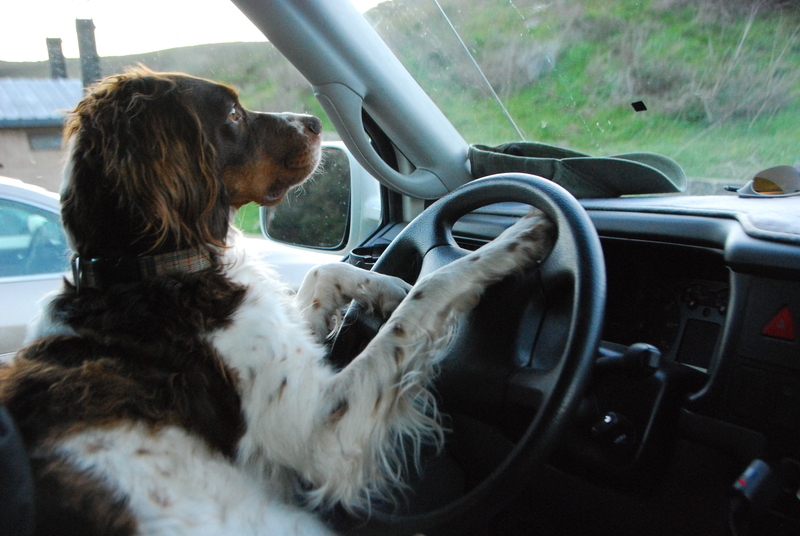 Since I could see Angus sitting in the driver’s seat of my truck I wondered what he was making of all this. He lost his sister six months ago. Was his proximity to buried souls eliciting memories of Glenna? He was born almost four years ago about a mile from the cemetery, where his mother and father probably still live. Was he sensing anything like “home”? When playing a funeral, you get there early and tune your pipes, which takes a good ten minutes. Then you put the pipes in your car and wait for the people to arrive, which is the cue to take position not too close but not too far from the casket – you want people to hear you without making their ears bleed. Then you stand at attention and solemnly wait for the time to play. It could be just a couple minutes, or it could be half an hour. Depending on the weather, your pipes will definitely be out of tune. It’s just a matter of how badly. I guessed how much sharper (higher pitched) my chanter reed (the one that makes the melody) would be, and adjusted my three drones accordingly while I waited. Then, when I fired up the drones to play “Amazing Grace,” I took two seconds to see how well I’d guessed on the tuning and made a very quick minor adjustment of my outside tenor drone, and started the melody. 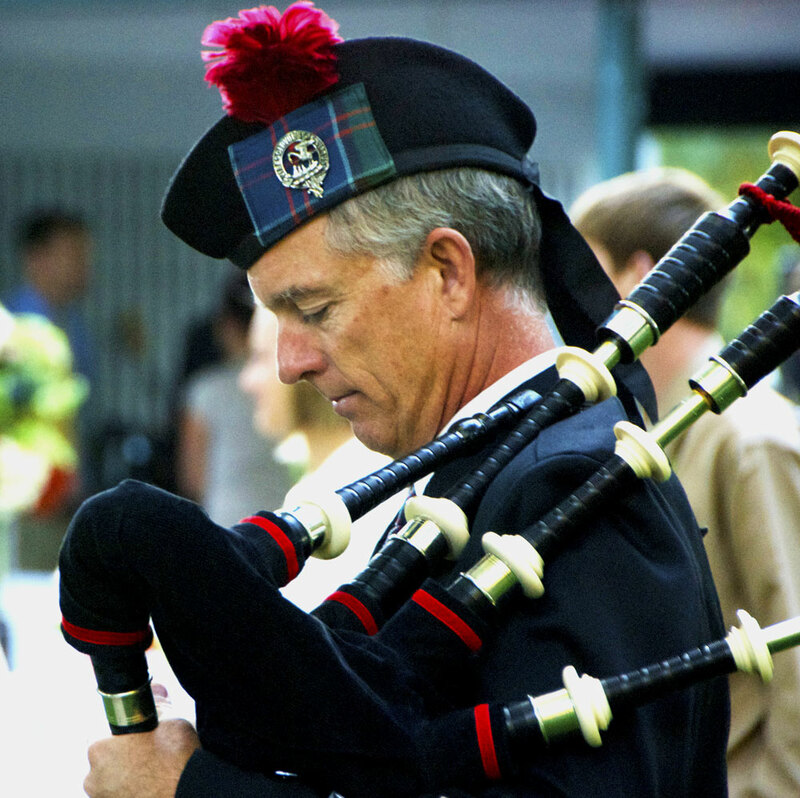 When you play “Amazing Grace” on the bagpipes – it doesn’t really matter the occasion, but a funeral is ground zero for the effect – most people really listen. As a piper, you want to play it well, and that means, partly, playing in tune. This day, my tuning was as close as I’ve gotten it in a long time but while playing I could hear what sound scientists call “sympathetic vibrations” on certain notes. These register as physical and sonic vibrations which you can eliminate by adjusting the tuning of the drones. But you can’t do this while playing a tune, especially “Amazing Grace” at a funeral. It wasn’t bad, and I doubt anyone could tell. In fact as I played through both verses I began rather enjoying the slight whirring of those sympathetic vibrations on certain notes. It gave me something new to listen to in a song, perhaps my favorite song, that I’ve played thousands of times. And when I finished playing and stopped the sound, I saw several people, their eyeglasses in hand, wiping away tears.